Ulf Grahn Interview with Bruce Duffie . . . . . . . . .
Ulf Grahn was born in Solna on 17th January 1942. He grew up with the classical repertoire in a musical home, his mother being a music teacher. He sang in the St. Jacob’s Boys’ Choir for five years under Eric Ericson. 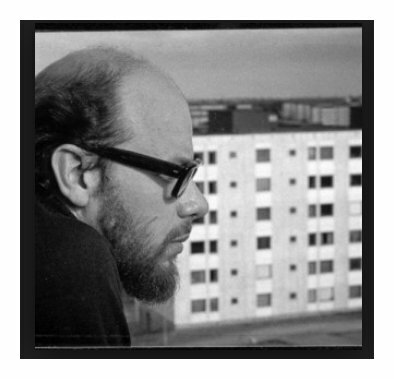 He then studied violin, piano and composition at the Stockholm Citizens’ School under Hans Eklund 1962-1966 and composition, violin, viola, piano, recorder and singing at the State Academy of Music in Stockholm 1966-1970. 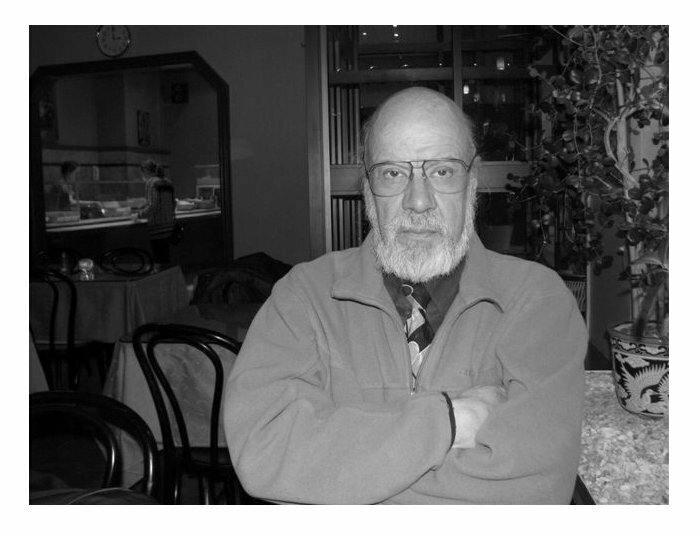 He taught in the Stockholm and Lidingö municipal schools of music 1964-1972 and worked in close collaboration with the concert organization Fylkingen and the ISCM. He settled in the USA in 1972, worked as an assistant at the electronic music studio of the Catholic University of America in Washington 1972-1975, and taught at Northern Virginia Community College 1975-1980. In 1983 he was made an Associate Professorial Lecturer in electronic music, theory and composition at George Washington University. In 1974 he founded Contemporary Music Forum, which specializes in new music and whose concerts are often relayed to tens of thousands of listeners. He teaches and lectures. He received a State Composer’s Scholarship 1971. 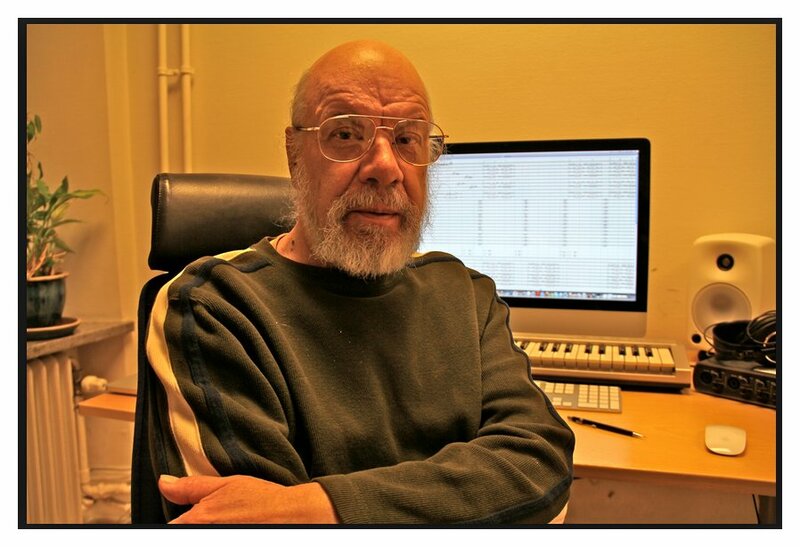 Already as a high school student, Ulf Grahn was a very prolific composer, and he has written music of all kinds: solo pieces, chamber music, orchestral works, ballets, incidental music and electro-acoustic compositions. He is a traditionalist in the thoroughness of his musical craftsmanship, but his musical vocabulary has constantly been absorbing new techniques which he uses in a manner both free and personal. His output before settling in the USA included the eight piano pieces gathered under the heading Snapshots (1972). The notation of these pieces of highly varied character ranges from exactly specified “time and space“ to almost complete liberty for the pianist. The collection also employs many different playing techniques, e.g. playing directly on the strings of the piano. His orchestral works from this period include A Dream of a Lost Century, an austere, texturally well-balanced work played by the Stockholm Philharmonic in 1972, and Ancient Music for piano and orchestra, performed the same year by the Danish Radio Symphony Orchestra. His music is often light in texture and gentle in its approach. It has sweeping surfaces of sound and a variable pulse, but it is often convulsive. The splendid In the Shade, for a wide variety of percussion instruments, was written for a tour of the USA by the Malmö Percussion Ensemble in 1978. In this piece, resonant episodes alternate with rhythmic ones, and the rhythm is sometimes truly intricate, not least in order to create a theatrical, visual impression. His other works include Hommage à Charles Ives (1968), first performed in Trondheim, Looking Forward for organ (1972), Concerto for Orchestra (1973), first performed in Cincinnati, Piano Concertino (1979), and an expansive Piano Sonata in one movement (1980) which explores the full range of the piano in contrasting episodes. His first symphony was written in 1966-1967 as a purely linear, spartan work employing a technique of superimposed rhythms and sounds. His second symphony, in one movement, was commissioned and first performed by the Stockholm Philharmonic in 1984. In April of 1987, Grahn was in the Chicago area for a conference on new music. We met as his hotel, and this is what was said at that time . . . . . . . .
Bruce Duffie: I appreciate your taking the time from a busy schedule to see me. You are from Sweden? Ulf Grahn: I’m from Sweden. I’m still a Swedish citizen, but I’ve been living here in the U.S. for fifteen years. BD: Does that impose any problems? UG: There could be some problems because the Swedes sort of consider me, at this point, American, and the Americans, I would assume, would do that, too, for the most part. But at the same time they are more interested to keep the heritage of where you are from. BD: Is your music particularly Swedish? UG: I would say that it probably has some Swedish traits in it, and there are certain things that I have picked up since I’ve come to America. BD: Is there anything you can put your finger on, or is it just a general feeling? UG: One of the basic parts deals with the percussion. Even though when I studied in Sweden I had contact with lots of percussionists, it was first when I got to Washington in 1973 and I founded this group there — The Contemporary Music Forum — that I got really to work more or less on a weekly basis with percussionists. And the versatility of the American percussionists at that point was much greater than you would find in Sweden. There they would be specialized — either they would be timpanists, or they would be mallet players, or they would do the drum sets. Here they would be more versatile, but that has changed now, so in Sweden they are getting more versatile. BD: Have you written some pieces just for percussion? UG: Yes. 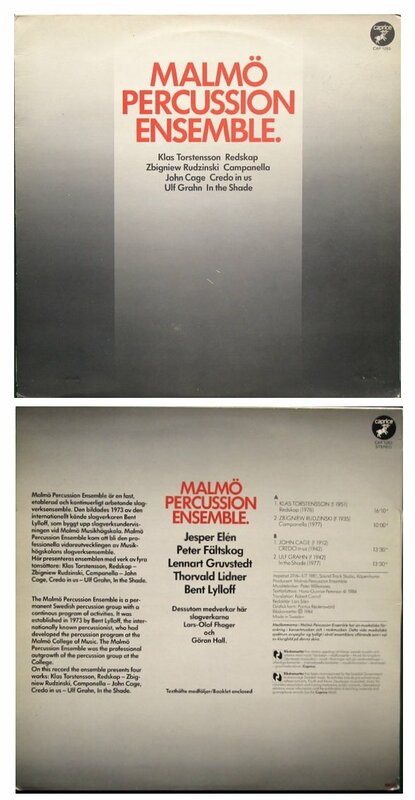 I have a piece I wrote for the Malmö Percussion Ensemble for their American tour back in ’78. BD: Is it rewarding writing for just percussion? UG: At that time it was. I wanted to write a percussion piece because it had been creeping into my mind more and more. Then to do one that’s dealing exclusively with it was a fascinating idea because there are problems. Composition-wise, you have to solve problems because you cannot just go in and bang. You have to come up with some kind of a plan of how to use all those instruments so they make sense, not only to myself — that’s probably the easiest thing — but it must make sense to a listener. BD: Does all contemporary music make sense? UG: Not necessarily. It depends on what you mean by sense. 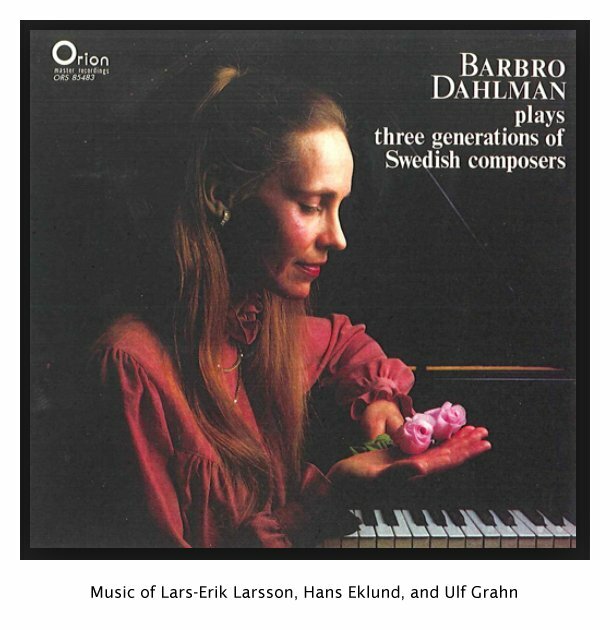 BD: What is the musical sense, then, of Ulf Grahn? UG: Oh boy! I will answer in this way... When I started out composing, it’s something I wanted to do when I was very young. So I devised my own schedule, sort of a study program. I just decided, when I was around five or six years old, that before I write I should study harmony, counterpoint, orchestration, play some kind of instruments, and try to get as broad base as possible. For some reason, which I don’t know, I had the notion that by knowing all the techniques it would help me write music. BD: But you always knew you wanted to write, rather than just perform? UG: Yes. Then, when you start out writing you go more or less on — just for simplicity’s sake, call it intuition. In my case I usually worked it out in my head and then just wrote it down. I didn’t bother to write sketches or anything. It was just there. So the early pieces of mine, nobody will find any sketches. It would just start here and it would end there and that’s it. Maybe I would do some alteration when I copied the piece. After that, the longer you write, the more you want to know actually how your process works. So you start finding out what I am actually doing. Then you find systems, and you do find that some types of things work for me, but it’s not something that the listener should be hearing. BD: You don’t want the listener to be conscious of all the technical difficulties? UG: No. I don’t think that is their part. It’s the same way if you go into a nice building, you look at the totality and you don’t worry too much about the technical details that goes into putting it up. UG: No, you can’t worry that it’s going to fall down, because then you wouldn’t go into it. Composing music is sort of like being an architect. You are constructing, and since I was into that it is the thing I have been trying to study and read about. I also ask my colleagues how they go about writing music because it’s a subject I think is fascinating in a sense. Then you find out that to make it sound simple, a young composer writes on intuition and fairly fast. The older you get, the slower you write and the more you want to know actually what you are doing. You will find that certain composers even wrote books on the process. They wrote down their systems, and they made schools out of them. Schoenberg is one and Hindemith is another one. Messiaen wrote a book, and then he changed, but there are an awful lot of composer-theorists. They have written harmony books where they put forth their ideas about harmony and how they would work, how they might write counterpoint or how they write orchestration. BD: Is it good for the composer to know why he is doing things, or should it be more just pure inspiration? UG: I think you want to know more. When you work on it you get more and more involved in your own work, and you want to know why you are doing certain things. It doesn’t mean that you can explain it. I can still not say why I choose one pitch over another pitch, for example. If a piece is going to start on an A, it’s starting on the A, and I know it’s not going to work if it starts on a B or a G#. That note has a sound that I particularly want. BD: You hear that in your ear first? UG: I hear that, so I know that’s where to start. I usually work out the overall design. I usually think very fast, so in that sense I would go along with the Hindemith theory that the idea comes very fast. You have the totality in your mind, and then the rest of it is work to recreate that ideal situation. Even Sessions brings that up. BD: When you’re writing a piece of music, for whom do you write? UG: I write for the people living today. I don’t write for people living fifty years from now. That’s not the way I see it. If they still like it at that time or if they want to listen to it, it’s always nice, but it’s not something I can write for because I try to communicate with people living today. Of course I’m a specialist and they are not specialists, and with that it’s automatic that comes a problem. BD: Are you writing for specifically non-specialists, then? UG: No, I don’t. I need to change the word “specialist” to people that are very well-educated as a whole because this is something else which is not a typical problem in music. You have it in all the arts, except in music it seems to be more on the surface. You bring up this big, enormous gap between the composer and the listener, and you find out that if you don’t tell anybody that it’s a new piece on the program, usually they will come out from the concert liking the new piece better than all the other ones because they can relate to it. Then, of course, we have other things that make it difficult. UG: Such as television and other background sounds that we are hearing all the time. Since the visual impact is stronger than the aural, if you have a horror movie, when people hear what is called a dissonant chord or certain strange string sounds, the first thing they will think of is that it is a horror movie. They will not know why, but it’s just a feeling, an image that will return to them. They get conditioned to it, and we are very conditioned in how we listen to music. BD: Should the concert music promoters and creators try to expand the audience into people who go to horror films? UG: [Laughs] No. I don’t think they should even hint at it. BD: You’re not writing an elitist music, though? UG: In a sense, any and all the terminology we use about music is dumb as far as I’m concerned because you have to try to verbalize something that can’t be verbalized. Music has to be heard, and after it’s heard you can sort of talk about it — if you liked it, what you didn’t like. You can comment on it and then you have to go back and listen to it again and see if it was exactly what I thought. Then if you get the discussion going, it was a symphony that people heard different things. UG: I just hope they will be open, have an open mind. I don’t want them to sit down and listen for the techniques used, because that is my personal thing. You don’t go into the operating room and ask the doctor all this technical things, “Why do you do this, and why do you do that?” You just hope the outcome is going to be in the positive. What I want, in any piece, is that people should be able to go back to it. I don’t think you can get the total impact of any piece in the first hearing. It’s like a good book. You read it and you want to go back to it. I can say I’m sort of selfish in the sense that if people like the piece I want them to go back to it and look at it again and see if there is something they can re-discover. If they can discover new things and if they can discover new things with multiple hearings, that would be very intriguing. BD: Have you basically been pleased with the performances you have heard of your music? UG: For the most part. You have to set it in the context of where they are being played. You always wish you had more rehearsals than you actually are getting. That is a perfectionist that comes into composing. You have the same thing with the performers. They have to walk on the stage and perform, and I’m not saying always, but in many cases they will say they wish they had another week to prepare. It’s like you never feel that you’re ready. You always have to take it for what it is at the moment. BD: What about the recordings? Those you perhaps have a little more time and can make edits if things are not so good. UG: The recordings are different because they are canned. [Both laugh] It’s like eating canned peaches or oranges. It’s not the same as the fresh. It’s a substitute for the concert. BD: [Playing Devil’s Advocate] On the other hand, it’s the recordings that bring your music to so many people! UG: It’s the one that brings the music out. One day you like the recordings per se, and another day you hate them because you lose certain things. One thing that’s difficult in a recording is putting an atmosphere that you will have in the concert hall. When you have a recording, you are alone with the speaker, and that’s the same problem that electronic music runs into, from my standpoint, is that you were sitting in a concert hall hearing from speakers. The first reaction is, “I can do this at home.” If you have an orchestra or a chamber group or a soloist, everybody’s focusing on the one person. Either they identify or they feel some kind of a sense, and together they fall into a process that takes place. BD: What about using electronic sounds combined with live performers? UG: The live performance can be different because it will take away the sterility that comes out of the speakers. So people could join into the focus on the performer. BD: Have you done anything with electronic music at all? UG: Yes I’ve done some, but not within the last ten years. BD: So, it’s not something that really interests you? UG: It interests me to some extent, and since I’m teaching it down at GW in Washington, D.C., I have to keep up with what is going on. At one point I’ll probably have to do another piece, but it’s not something that’s very high on my list. BD: So it’s just another color on your palette that you don’t use very often? UG: Yes. It’s one that any composer should know. They should go through and learn how to use the techniques. You don’t have to use them just because you know them. BD: One of the books that has your listing [Baker’s Biographical Dictionary] gives a little critique of your compositional style. It says that you, “Maintain the golden mean of contemporary idioms without doctrinaire deviations, scrupulously serving the tastes of the general audience.” Do you believe that? UG: That’s Slonimksy. [Names which are links refer to my interviews elsewhere on this website.] I met him when he was working on that last edition. It was at a concert in Washington and there was a reception afterwards. He has this phenomenal memory. He seemed to know every name that he has entered in to the previous edition. So, when he heard my name, Ulf Grahn, he said, “I haven’t got your update. Will you please send that to me?” So I sent him a couple of things, but no, I don’t try to follow any major trends, at least not consciously. Subconsciously you pick what you like that is floating around in the time. I look more at composing as a craft. If somebody asked me to write a children’s tune, I would think about it, and if it intrigues me I will try to do it for that level without trying to look back at what they did a hundred years ago. I do not have to have it sound that way. I just try to solve that problem. It has to be simplified in many ways, and some composers will not do that. But if you look back into history, you’ll find that many composers have written for all different types of people. They have written for the good amateur, they have written for the children, they have written pedagogical music and they have written advanced music for the serious and well-educated music listener. They have also written for the person that just like to perform. BD: These are all different kinds of music? UG: It requires different types of approaching the problem of composition. I don’t think you have to change your style, as such, in any of those. You have to simplify it, but it doesn’t have to change. BD: When you get a commission for a piece, how do you decide if you will accept it or reject it? UG: As I grow older, the decision seems to be based on what interests me. At the moment I am interested in writing orchestra pieces, so if somebody comes up with an orchestra piece, that’s going to take precedence over something else. It doesn’t mean I can’t squeeze in some small little things now and then, in between, because when you work on a large piece you suddenly have to rest. It’s such an intense undertaking, and when you rest you do all these other small things, which in a sense become try-outs. Then you have the other thing where you simplify what to do. It’s sort of contradictory, but it also has to do with the clarity that makes it look simple. It means that you want to know more, and it goes back to this other topic we spoke of earlier. In the beginning you don’t know much, in a sense, about what you’re doing, and then when you get to know it more, that’s when you simplify or actually clarify. BD: When you’re working on a piece of music, do you work exclusively on that one piece, or do you sometimes have two or three going at once? UG: I usually try to stay to one piece, but it seems to be that there are lots of pieces that sort of start and are in different phases. The whole process of writing a piece is such that I always work on some piece in my head. BD: [With a gentle nudge] Even right now??? UG: Sort of! I’m on-off thinking about something I have to do. [Laughs] But it’s a constant process with things going on. When I have to decide about a commission, it can be a request or it can be something I just want to do. Sometimes I say, “Okay, I want to do it,” and it might be a flute piece or an orchestra piece that is already in my head, and I just have to stop and write it out. So it’s more like the circumstances. If they ask and the piece happened to be there I would probably just say yes, and then have the reason for writing a piece out. If I want to let other people hear the pieces I’m making, I have to write them down in some kind of notation, and at the moment, the standard type of notation seems to be the most preferable, or it will cause the least amount of problems. As a composer, that’s my way to communicate to the performer, who then interprets it so it can be heard. BD: Does the performer ever surprise you with his interpretation? UG: Not yet. It might be that on the small details they might interpret slightly differently, but not on the total, the whole scope. A piece of mine was just done on two performances. One was in Chapel Hill about a week ago, and then this last week in Florida. It was of the same piece which had been done earlier last fall in D.C., where I had complete control because I was coaching the performers. In Chapel Hill I never heard it, and at Tallahassee they called me and got something. My wife is a pianist [shown on LP cover above], so she was involved in it. She talked to them, so they did certain things. In that sense, you will find out that they pick out different things, but the overall piece is still there. They just point out different shades of it. It was a piece for one piano, six hands. UG: Yes, it’s crowded! The Chapel Hill performers took the total sound so that nobody should stand out. Everybody was trying to make it blend as closely as possible. The Tallahassee group tried to figure out how to bring out the polyrhythmic lines that were going on. BD: So one group was concerned with lines, and the other was concerned with just the body of sound? UG: Just the total sound. BD: But both of those interpretations are valid? UG: Both of them are valid. BD: When you’re writing a piece of music, how do you know when you’re finished with it? UG: [Matter-of-factly] When I write the bar line. [Both laugh] No, usually I have it pretty clearly done. Everybody has to find their own work-process, their procedure, and mine depends on certain things. The larger the piece the more small increments and stages you can find. The first one is a very rough sketch that has the total piece somehow captured, the total idea of the piece. From that I will go on to another one which has much more detail that is going to happen. It might be pitches, if it’s going to be high or low, how things are going to be moving, what’s going to be rhythmical, what is going to be the theme, what’s going to be its motifs and how they’re going to be worked out in different parts. I also have to decide if there are some kind of tonal centers, and if I decide to do that it’s going to start here and it’s going to modulate through this part, and end up there. Then I start writing out all the notes. All of this is just to do with the sketches because when you look at it, you will remember everything. It sounds strange, but everybody has their own shorthand. BD: But you say you’ve worked on this in your head, so it’s ready to go? UG: Yes, so you put it down. What you do in the early part is you write only what is necessary to remember what you have worked on so far. When you start writing out the notes, then it develops. BD: Do you work out the music, or does the music work out itself? UG: I think it works both ways, in a sense. BD: Are you ever surprised where the music goes? UG: I’m surprised sometimes that it really works. [Both laugh] I like to do Christmas cards with simple little tunes. I have used some of the funny poems of Louis Carroll, and there was one I did a couple years back. It was going to have sort of an ostinato type rhythm. It was ostinato in the left hand, bass, repeated over one measure. Then there was a canon going on plus something else. I just lined up all the bars and knew it’s going to end here, and I need one extra measure at the end after the vocal part. I couldn’t see that in advance. I didn’t count anything, or say that this is going to end up being there. It just ended up exactly that way. BD: This was just a little, tiny piece then? UG: Yes, it’s a tiny piece, but those have to deal with contrapuntal principles. It is typical of my style to be contrapuntal. BD: Was this for a performance on a Christmas concert along with several others? UG: No, it was just a Christmas card I sent to all my friends. I went out and printed it up. We had some friends that usually arranged a musicale shortly before Christmas, and we usually deal with them at that. BD: Did each one get an individual carol, or was it always the same carol? UG: It was the same carol for everybody. BD: I was just wondering if a commercial card manufacturer came to you and said, “We would like to print millions of these up and send them out and pay you for your efforts.” They would have a Christmas card with an original Christmas carol for the public. Is that something that would interest you? UG: Yes, it’s been done through history. Composers always do certain things like that, and friends of mine would do it slightly differently. Actually, the first time I started, it was a friend of mine in Sweden that was doing it. He wrote a whole long piece and then mailed it to everybody. BD: So, you’d just get the score? UG: So you’d get the score. Sometimes I did very elaborate canons with an awful lot of technical things that went into them. We’d sing them forwards and backwards and upside down. They had their own ostinatos going inside with canons, and all of them worked out perfectly if you sit down and write them all out. BD: Sounds like fun. Let me take it one step further. Sometimes greeting cards have a little electronic beeper kind of thing that can have a little tune going. Should the company perhaps have it written out on the back, and then the little beeper will beep the tune that you have written? BD: I just wondered how much you might get intrigued by the commercial value of something like this. Or am I trying to head you down the wrong path? UG: The thing is that one of these things can be fun to do once, but then if the first one is successful it’s like doing a jingle. It comes back and you have to start repeating, and if you do it in a certain way, people want you to repeat the same jingle. But the next commercial would be different, so the jingle would not work. BD: Should they come to you for a new jingle, or should they, perhaps, have a series of composers, one each year? This year will be the Ulf Grahn Christmas Card and next year will be somebody else’s Christmas card. Have them in a series so that each year that company could put out a new card. UG: Yes, as long as it’s done with taste. At this point the sound on the small beepers is terrible! So that would probably be the one reason I wouldn’t do it. It would be intriguing, but unless they could fix up the sound, which probably wouldn’t be that hard... Those things are fun to talk about, but I don’t think that anybody’s going to do it, anyway. BD: You never know! Maybe someone who is listening to this program happens to be the president of a greeting card company, and might get intrigued. BD: In general, is music fun to write? Is composition fun? UG: Yes, when it gets going. It’s something I always want to do, and the thing is that there’s too many things that prevent you from doing it, and that creates conflicts. BD: You’re also a professor of music? UG: Yes. I do part-time teaching of composition, electronic music composition, and music theory. BD: Is music composition really something that can be taught, or must it be innate with each young composer? UG: I think you can teach people how to go about solving problems, but any composition is basically ways of solving problems and making decisions. You can make a bad decision and you can make a good decision, and you can do it if you have some overall music training. In a sense, if you’re taking some harmony or maybe just played an instrument, you will have some ideas and you can start there. Then by trial and error you will learn certain things that work for you. When work with somebody they can help you speed up the process in finding what will work and what will not work. Back in history you were basically an apprentice to some composer, which meant you would copy the parts, or you were helping out for rehearsal. You might be playing in the ensemble, and you were part of a total musical environment. BD: Is this gone today? UG: That environment I don’t see anywhere, and I somehow wish it would be possible to re-create. From my background out of Sweden, when it came to harmony and counterpoint and composition, I did most of it with one and the same teacher, so you get a totality of it. Here you take harmony from So-and-so, then you take up counterpoint with another, and you take piano with someone else. It never seems to be that you find out that all of those are part of an overall scope. We assume that western music has progressed, which can be argued, but you go into the school or music department, and in the first year you have Romantic music history, and then the next year you will take Renaissance music. That is compartmental, but you do this and then you play a little piano, and there is no conscious effort to tie all of this into the same sort of line. BD: So then each music school should have an overlord to bring it all together? UG: Yes. I think that’s what they hope people will get by taking all these courses, that people will get the sense of the totality. UG: I don’t think so. In Stockholm, at the state college, one of the professors, Lars Edlund, wrote this book that everybody has to go through. It’s called Modus Novus. It’s a free-tone and twelve-tone style of music in sight singing. He designed a course to show what music is in different parts of the world, because he found out that people didn’t know. To help them understand, you should know that music notation has developed or evolved or changed over time, and that each period finds its own best solution. It doesn’t mean that it makes sense to us today, but you should know that if you read the music of the Renaissance, you should do it with the concept that this is their notation. If we use notation of our time and if we’re not aware of it, we mix the messages. UG: That, I don’t know. BD: [With a gentle nudge] Oh, gaze into your crystal ball. UG: Western-type concert music might or might not have problems. The problems in America are different from the problems in Europe. UG: Here the free marketplace plays a much bigger role. In America you have to play it safe, which means that people play what they think everybody wants to have. But they don’t know if they want to have that. In Europe we have the “registration with our state supporters.” They are following that a lot, and they have to play the new music. Radio has a much more important place in Europe. Radio was much more important there as a cultural communicator because of the distances. In Sweden there are several writers that would not have been writers, or dramatists, unless they had the weekly theater programs with good actors all the time. The same thing happened, the so-called Bo Nilsson phenomenon that came out in the fifties in Sweden. He was living in an isolated place that could not in any way play new music. All he could hear was through the radio and the night programs, and by corresponding with people. That type of radio might have been here, but it’s not, and it lasted much longer in Europe. BD: Is new Swedish music going in a completely different direction than new American music? UG: Yes. There are differences. There might be certain things that are similar. I have been trying to travel and do some talks about American music in Sweden, and the interesting part is that in Sweden, and even on the continent, what they consider American music is certain group of composers coming out of what I would call the John Cage Group. Then we have the minimalists, with Steve Reich, Phillip Glass and Terry Riley. It’s much more important to them as American music. If you go in and talk about Boulez and Babbitt, they are just names. They don’t know who they are, not even their music. BD: Should we work harder to get more American music done in Scandinavia and Europe? UG: There are lots Americans traveling over there that would be played, and I don’t think that will work. The Finns have been trying to do it here in the U.S. They get some response, but then it falls. Sweden has tried, too, and it doesn’t seem to work that way. It seems that each country will pick certain things that they seem to identify with. BD: Are you optimistic about the future of music in general? UG: I’m trying to be. [Both laugh] Actually, I don’t think that music will disappear because it has been around too long. What we apply to it will change. At one point — in the fifties and sixties — everybody thought that the audience would just go with one composer going that way, and suddenly there is a complete merging again. We had the so-called new Romanticism, whatever that means. But somehow, either the time has come up with the composer or the composer has slowed down. Or it’s just a pendulum that swings back and forth. This time we were too far out, so now we had to go back and solidify what we were doing, and see how we can make sense out of all these different trends. BD: Can we make sense out of all the different trends? UG: Yes, I think so. That’s why I like to read composer biographies, because they always come out and say that this is the hardest time possible. There’s so many things going on, so many things that are possible, so it’s a very hard time for the composer. BD: And they’ve always said this? UG: They always said that. I’ve just been reading a very nice book written by Vincent d’Indy about César Franck, and he brings that part up, too. It seems that people distill works and try to refine whatever they are doing so they will be the ones, somehow, that might survive. On the other hand, Schumann said that if people go with the latest trends all the time then they end up being nothing. So somehow we have to balance. The time has to be in there, but you cannot escape the tradition, or whatever you want to call it. It’s the delicate balance, and that’s up for each individual composer to decide where he will want to go. Will I have my roots in the Palestrina, or will I have my roots in the Renaissance and use that as the type, like Peter Maxwell Davies was doing. He tried to research and find ideas out of the Renaissance, because that helped bring those new thoughts. D’Indy mentions that Franck was always playing somebody else’s music before he got started. It was just to work himself up, and that was to get himself going. If he really wanted to do something good he might play his own music because then he was into his own way of thinking. Even Stockhausen said something like that. If you listen to a bad piece, listen to it again. If you still think it’s bad, listen to it again, and if you still think it’s bad, listen to it again and you might start getting ideas. So in a sense, if you don’t like a piece, you have to find out why you don’t like it. It is very popular just to say, “I don’t like new music.” They just don’t want to be confronted by it, and I don’t think it has anything to do with liking. It’s just that it takes some effort, and if I’m not in the mood for that I won’t listen to it. That holds for any person. BD: Is it right to expect an audience to be in the mood for contemporary music when it comes to a concert? UG: I don’t think people are in the mood for everything that’s going to be on a concert. If you go to a concert, you usually go there for once particular piece, and you can be pleasantly surprised and you can be pleasantly bored. BD: [Laughs] “Pleasantly bored!” I’ve never heard it put that way. UG: Back in my teens I went to an orchestral concert where they were playing lots of works I really liked. I had asked a girl to go along but she turned me down. I was slightly annoyed because I had two tickets and I had to waste a good ticket. I didn’t mean anything about anything, I just wanted to have a companion to go to the concert with. So I got mad, and I sat through that concert looking at my clock every two minutes. I just wondered what in the world has happened to this piece? It doesn’t get anyplace. So I was not in the right mood to go to that concert, and it went like that for all the pieces including the Mozart 39th Symphony. [Laughs] So there was no reason at all, and that’s the one I really remember because I was looking at the time. So you can be in the wrong mood, and you can go to a concert where you think that a certain piece is what you’re going for, and you’d be pleasantly surprised at it when it comes out much differently. BD: Let me ask another balance question: in music, where is the balance between art and entertainment? UG: Good art has in itself entertainment, and it’s up to the composers to write it in. I’m just getting old-fashioned here. Shakespeare, supposedly, if I have read him right, wrote for different types of people. Every play has something that will work for every part of the audience. He had the long, deep monologues for the real serious; he had the comedians coming in for the people that didn’t want anything else, and he has the give and takes. So he’s tried to figure out that people are on different levels of preparation. I’m not going to say different type of education, but they are differently prepared for, and are there for various reasons. BD: Are you conscious of this kind of thing in your writing? UG: Not directly, but I think you should try to get something in. One way of helping a listener has to do with musical form. A piece needs to have some kind of form or structure where certain things will happen. You don’t have to tell them in advance that it’s going to follow a certain path, but if you’re going to go into an unknown path, you have to make sure that there are certain things that will help him realize that this is not going the way he thought; it’s doing something else. I usually joke that the sonata form is the most pedagogical form ever invented when it comes to an uneducated listener. You state the theme in the first part; you repeat it; you add something new; you come back to the beginning and repeat that, then you repeat the whole thing to really make sure that you understand what is happening here. You do the same thing in the melodic sense and with the harmony. You start on one chord, you move it up, then you go back to the original chord and you establish this as a motif or a harmonic progression. It’s not a question of development. It’s that you work through the ideas that you presented. You don’t have to develop them, you just put them in a completely different context and a different juxtaposition. BD: You play with them? UG: Yes you play with them, but you present it so people can follow even when it is intricate. It is like playing chess. Everybody opens with the same move, and then you have all this you can figure out. But there’s not such a variety of possibilities, so it’s very hard to find the middle part. Then you get to the end and you can follow it, but in the sonata form you can just go back and repeat everything to make sure that people know this is what I set out to do, here is when I get you slightly confused, and now I bring you back to what I started out with. They can always find that there is something to hold onto. They don’t have to know the form, because the form was invented after the time, anyway. BD: The form was used and then they put a label on it? UG: They put a label on after it had been established, but it was the sense that the audience could follow what happened, because not everybody in the audience played an instrument. It was exactly the time when the big bourgeoisie started to go to listen to music. They were not that educated, so the composers took it upon themselves to see that they could follow what was going on. It’s very easy to follow what happens in a Mozart symphony and in a Haydn symphony, but at the time of Beethoven, everybody had done it so many times that he could take more freedom and assume that the audience would know. BD: Is it easy to follow what happens in a Grahn symphony? BD: Do you feel that you’re part of a musical heritage, a musical lineage? UG: In a sense I do and in a sense I don’t. I am part of one, since the way I studied was with one person, Hans Eklund. Then I studied with Lars-Erik Larsson, and their view on theory and on teaching was very similar. It was just that they teach the craft, and what I do with it is my responsibility. I think that is the thing. The other school in Sweden is that you have somebody teaching a style, and the students try to refine upon that style. BD: And you don’t adhere to that? UG: No, I don’t. I think you should teach the craft, and then the individual should come through. They might come to it slightly later, but in the early part it is very easy to find out who has studied with whom. If they play my pieces, they cannot say whom I studied with. That’s the other thing I found in Vincent d’Indy’s book, because that was one point that César Franck made. He didn’t want anybody to sound like him. He just wanted to help people become their own voices. In America you have some of that problem, that people are trying to stay within a set framework, within a style. Particularly the early part, you can say that in electronic music. You can always talk about how this piece sounds like Columbia-Princeton, and it is Columbia Princeton. You can find certain kinds of music coming out of certain parts of the American east coast, which is nastily labeled by myself as the ‘American Academia’, which is the serial style, and it’s not, per se, very interesting. Nothing new happens in it. An awful lot of composers still work, and then they come find that they come to a dead end, and then they start coming out of it. I would assume that we would hear more of those at this conference, because I know some of them. Joan Tower is one, for example that started in the one end and she has ended up in a very different place. Schwantner is another one. He was very strict, and now his pieces show the way of new Romanticism. BD: Are we getting, perhaps, too many young composers coming along? UG: I think it’s too many, but I don’t think there’s anything can do with it. It’s too easy to call yourself composer. [Both laugh] That’s more an American phenomenon than any other. People that want to write should write, but it doesn’t necessarily mean that they are a ‘composer’ if you used the word to indicate that’s what they try to have as their main duty. You have an awful lot of performing musicians, like organists, choir directors, choral members, pianists, violinists, and flute players that want to write music, but they are primarily pianists, organists, choral directors, that like to write music. The other thing first, composer second. However, they do fill a gap of materials needed in that particular situation. BD: But you are a composer first? UG: Yes. You need the reversal. For example, in Sweden, the conductor is important and the performer is important, but the composer is up there as a equal. BD: How can we get the composers back up on top in America? BD: So you think that the word ‘composer’ should not be taken by the creator, but rather should be given to them out of respect? UG: Yes. But that’s a different society, so it has completely different parameters. The same thing goes for continental Europe. Studying composition is done after you’ve done the other, more basic part. It’s the refinement, after you first educate yourself to become a musician. Then you specialize in composing, or you specialize in piano, or you specialize in violin. UG: Oh! [Laughs] Thank you for presenting my music. This conversation was recorded in Evanston, Illinois, on April 8, 1987. Portions were broadcast on WNIB the following year, and again in 1992 and 1997. This transcription was made in 2015, and posted on this website at that time.